Stanley offer a very strong range of mobility products for use in education environments, designed to improve user mobility, comfort and boost the quality of life for those that are less able-bodied, whilst ultimately improving operations, efficiency and the professional image of educational establishments nationwide. 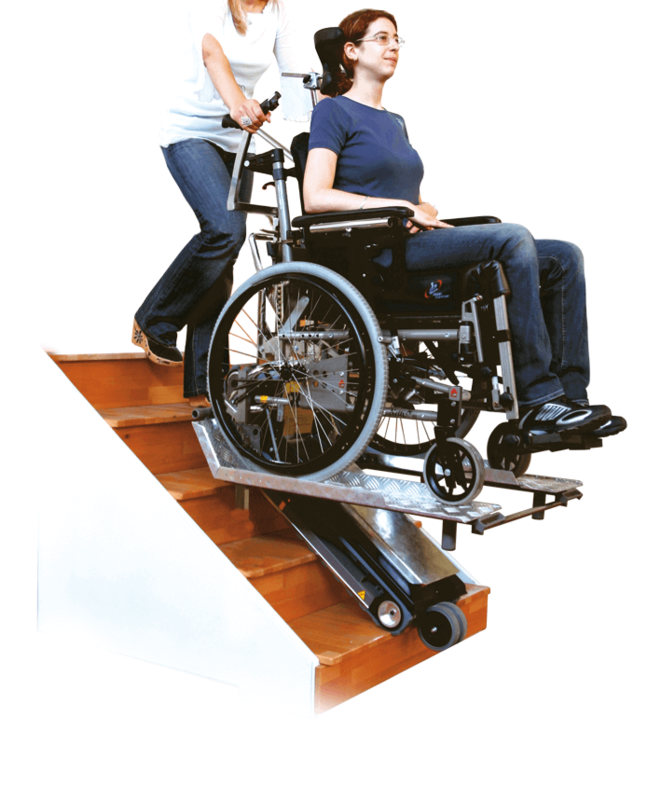 A battery-powered wheelchair unit which enables operators to transport persons safely up and down stairs the majority of staircases that may be located around schools, universities, colleges and beyond. 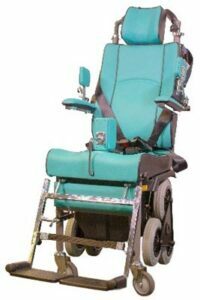 The seat itself is fully equipped with a foldable armrest, headrest and adjustable footrest which all aid posture. 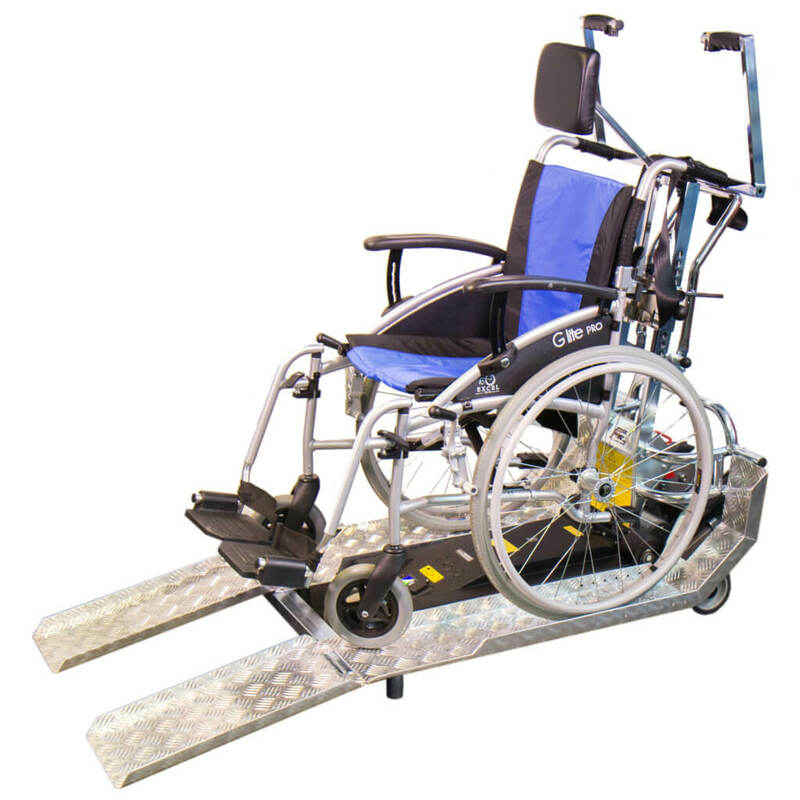 The other wheelchair stair climber ideal for learning environments is the Jolly, which allows most types of wheelchair to be fitted onto its secure systems frame. 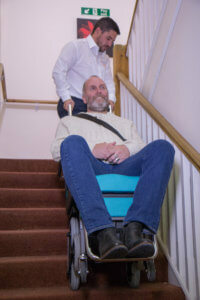 It is designed to work with electric chairs, wheelchairs with tilting or movable backrests and even pushchairs. It can easily be dismantled into two separate pieces which enable it to be transported in a car, school bus or coach. 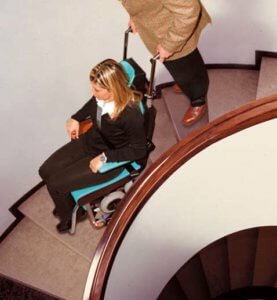 The key benefit for this particular stair climber is that it enables users to be transported from within their own wheelchair, which offers a very dignified solution and has minimal impact on staff.